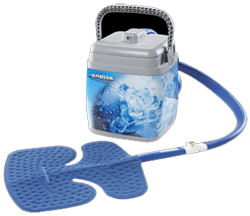 The Kodiak Cold Therapy Unit is the most convenient and versatile cold unit. It's easy to use compact design, makes it great for clinic, hospital, and home use. Depending on your patient-specific protocol, with nothing more than an initial fill of a little ice and water, your patients can enjoy up to 6-8 hours of motorized cold therapy. 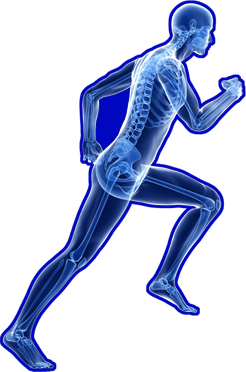 The Kodiak Cold Therapy Units are classified by the FDA as Class II medical devices that must be prescribed by a physican or licensed healthcare practitioner. The revolutionary pads offer hassle-free temperature regulation specific to each treatment area, allowing for consistent cold delivery. The ergonomic design provides exceptional coverage, static compression, and patient comfort. The Polar Wraps can be wrapped around each of the Intelli-Flo Pads, allowing patients to conveniently secure the pads to the affected area without using additional wraps or bandages. The Sterile Polar Dressigns are water impermeable barriers that provide complete coverage between the pad and the patient's skin.